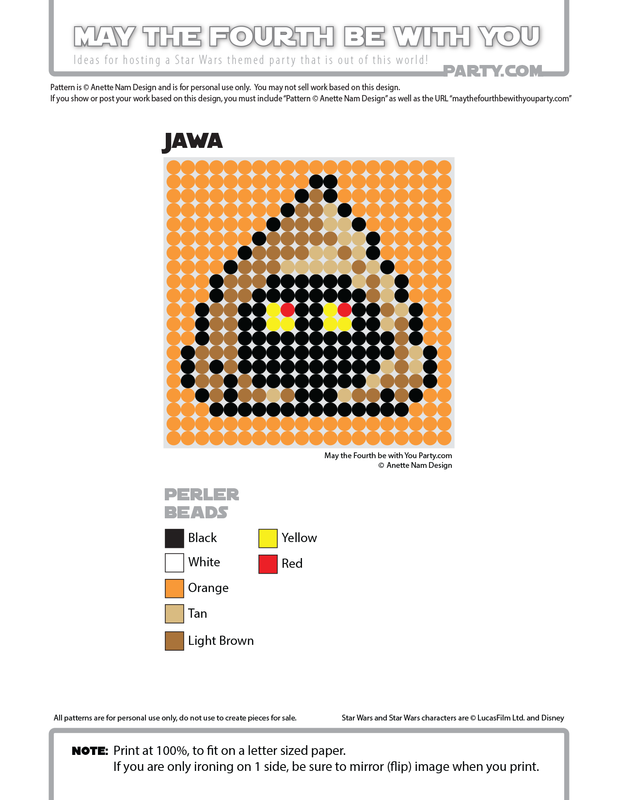 My son desperately wants to be a Jawa for our upcoming May the Fourth Party. He is about the right height, and has about the right temperament (he loves to instigate trouble ) so the fit is perfect. He has been practicing for months, walking around saying… Hutini! Fustini! Wutini! Rotini! I’ve been trying to figure out the best way of attaching light bulbs to his head – without hurting his eyes with the bright lights. So far, I am thinking black netting of the face, and glasses with lights attached on the frames. But I’m not sure yet. Any and all brilliant ideas would be welcome! 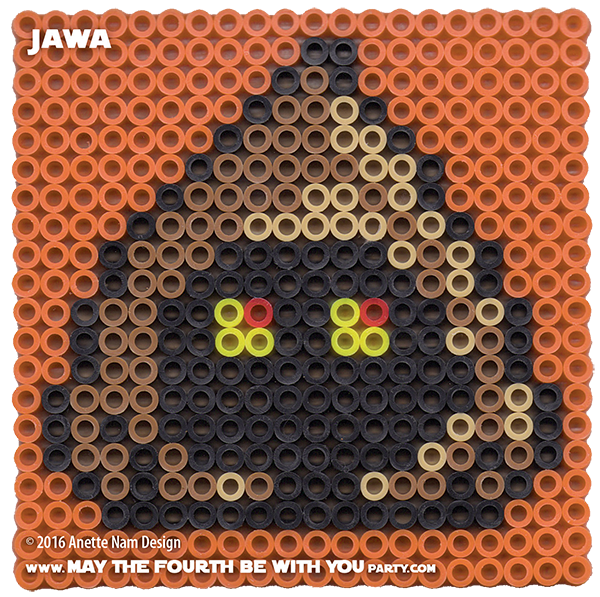 While I try to figure out a way to make my little guy a happy little Jawa, you guys get the #51 in the Perler bead/cross stitch/crochet/knitting/Lego/pixel/mosaic pattern series. ← Faster and More Intense Podcast Featuring… Us!! !